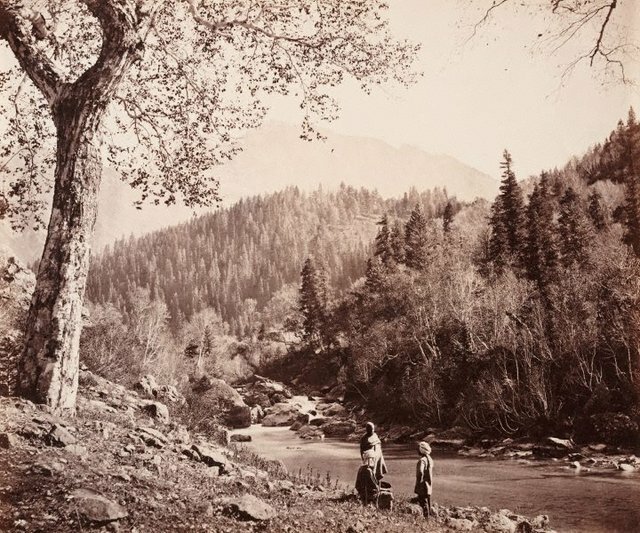 This is a photograph of the cascades on the Indus (also known as the Sindh) river from the ‘Strachey Collection of Indian Views’ taken by Bourne in 1864. Signed l.r. corner, inscribed "Bourne".